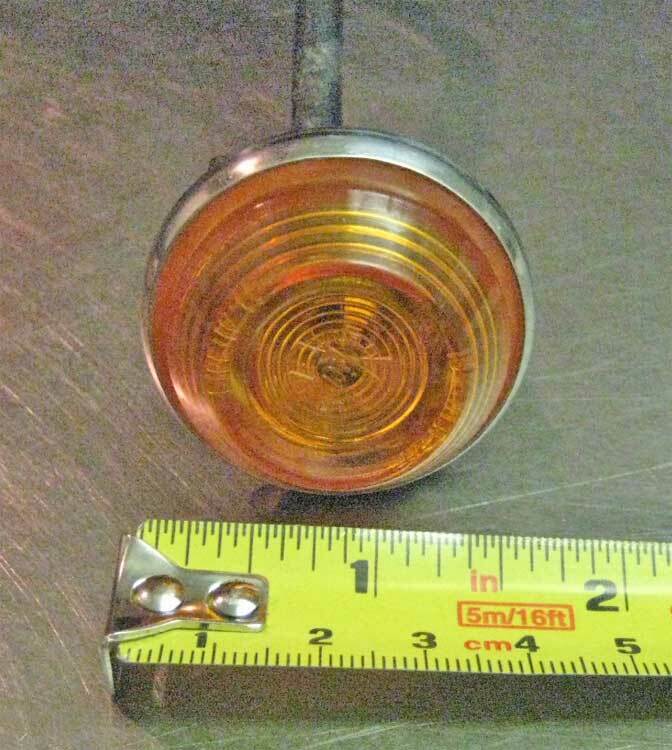 This component is part of Lights. 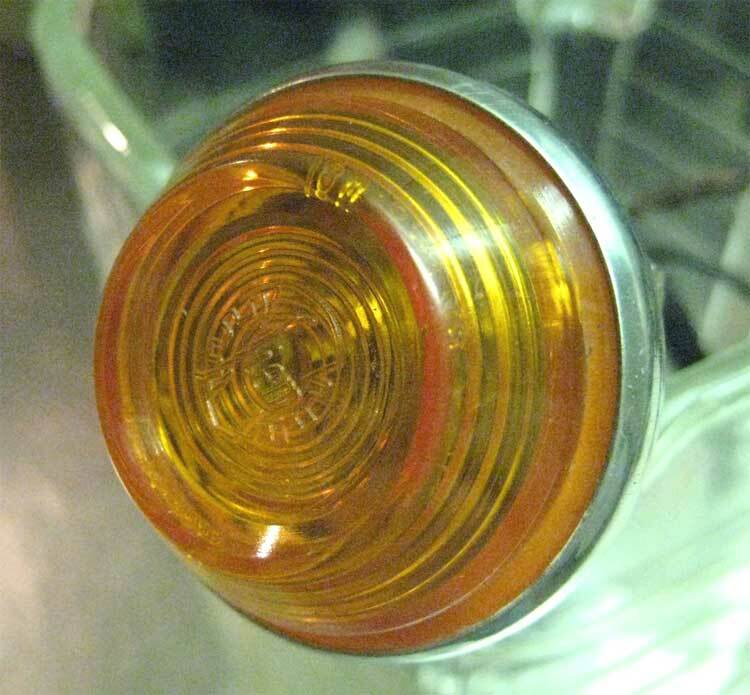 Sidemarker lights were present on cars delivered in the US (rectangular) or in Italy (small, round, orange). 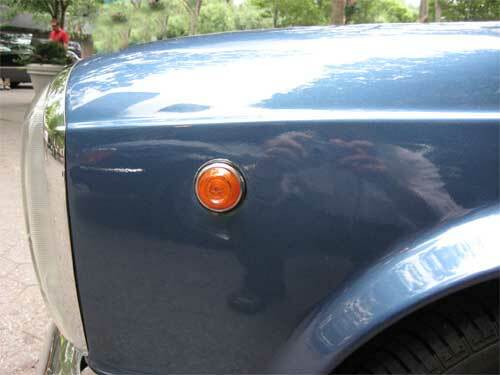 Other cars typically did not have sidemarker lights. 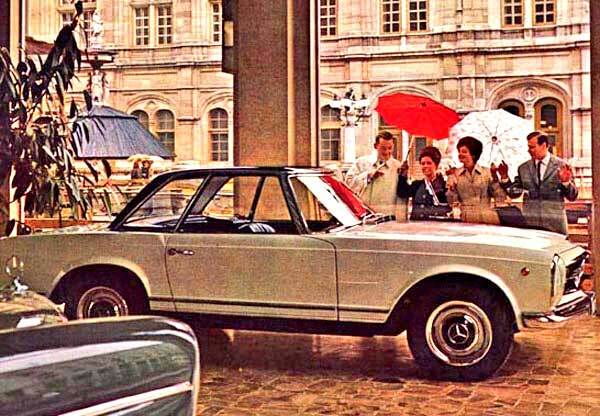 Seeing a Pagoda with a small round orange disk on each front fender marks the car as originally sold in Italy. The Italian government required a fender marker to be installed on all cars. The required disks were installed in the factory before the car was shipped. The Data Card for an Italian market car will have Code 620. This same number is stamped on the Data Plate in the top line. Electrified Marker: The marker is slightly more than 1.5 inches (4 cm) in diameter. 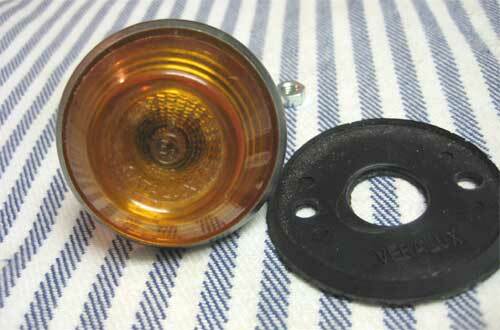 The orange plastic “button” shaped top is tightly crimped into a thin, satin finished steel base. 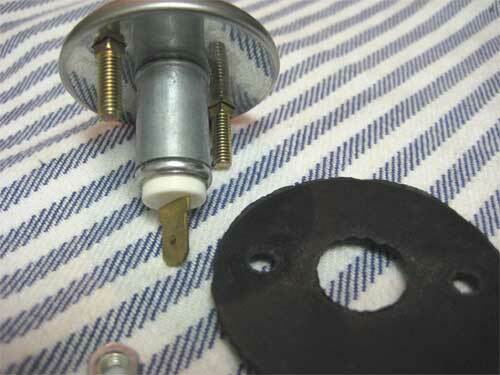 The two mounting bolts topped by holding nuts are permanently fixed to the base on either side of the central bulb holder. 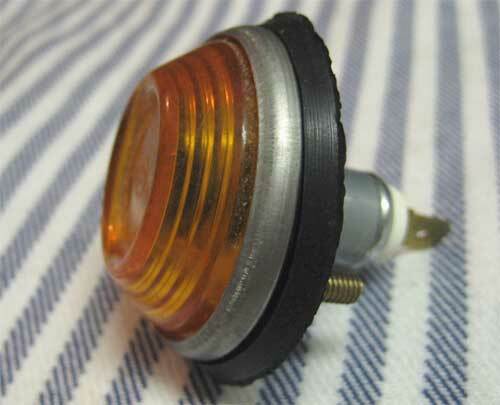 The bulb is similar in size and shape to the 2 watt bayonet base bulb used for the dash instruments. The wattage of the marker bulb has not been verified. Two wires (Black and Green) are attached to the socket. The wires are about 20 inches (50 cm) long to reach from the marker to the headlight. 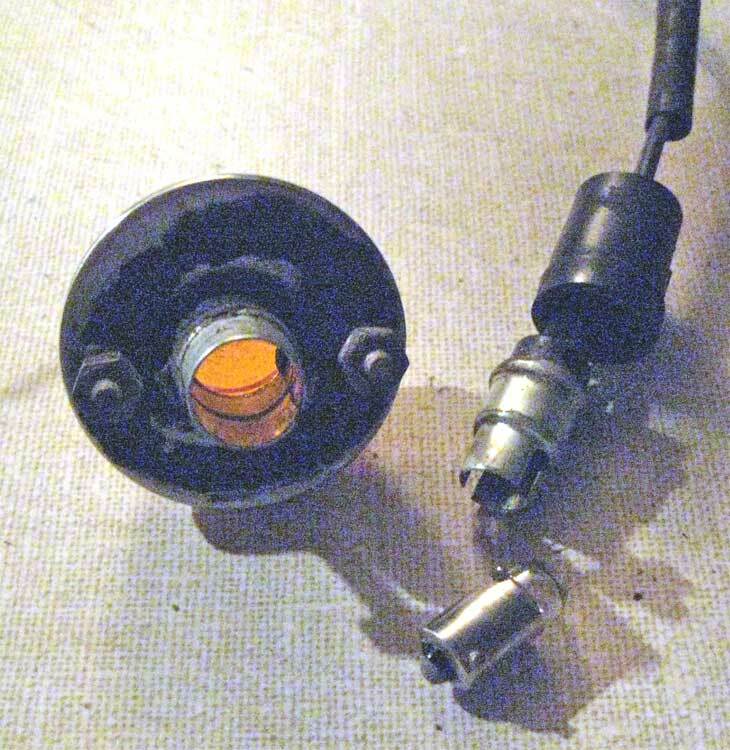 Installation of a marker where none existed requires cutting a hole in the fender about 5/8ths of an inch (1.5 cm) in diameter to accept the central wire and bulb holder then drilling two small holes alongside the central hole for the two mounting nuts. On an original set of markers, the remains of black rubber was observed on the marker base possibly as a water barrier and to avoid a reaction between the marker and the painted surface. The assembly is steel. Rust has been observed on original markers when removed. 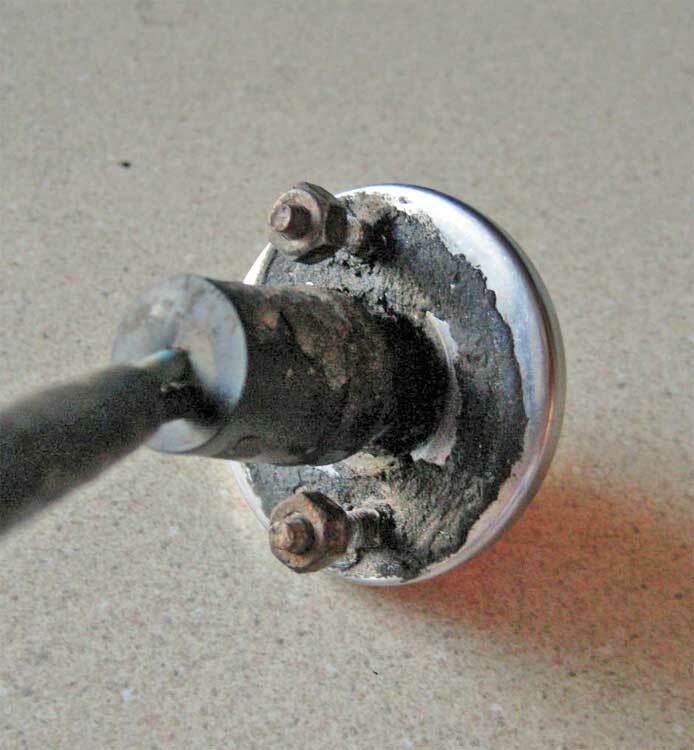 Bulb is accessed by pulling off the rubber fitting surrounding the socket then gently twisting and pulling the now exposed bottom of the socket. The entire socket and bulb will come free. 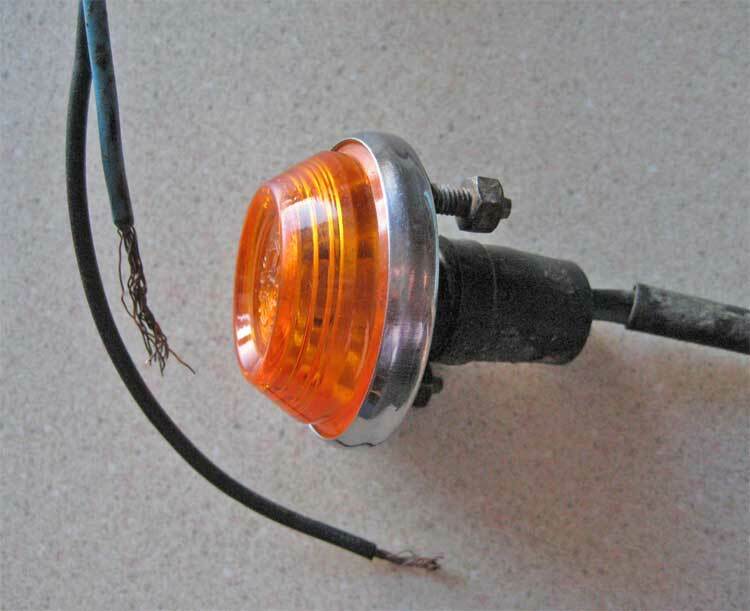 Anecdotal information indicates that the earliest markers were reflectors only, not wired and had no bulb. During Pagoda production, the wired version was adopted. The marker is positioned on each front fender about 6 inches (15 cm) in from the front edge of the fender, and about 2 inches (5 cm) below the ridge that runs along the side of the fender. An archival photo of a car with a factory installed marker is shown here. Here is an original Italian market car with the fender marker in place. In 2008, similar markers are available from European part suppliers. The same markers were used on Fiats and other Italian cars. The modern substitute marker is a near perfect look-alike but appears to be of lesser quality in construction and material. Comes with a rubber grommet to go between the light and the car body.